Author Romain Molina says Unai Emery is adding his own 'sauce' to Arsene Wenger's formula at Arsenal. 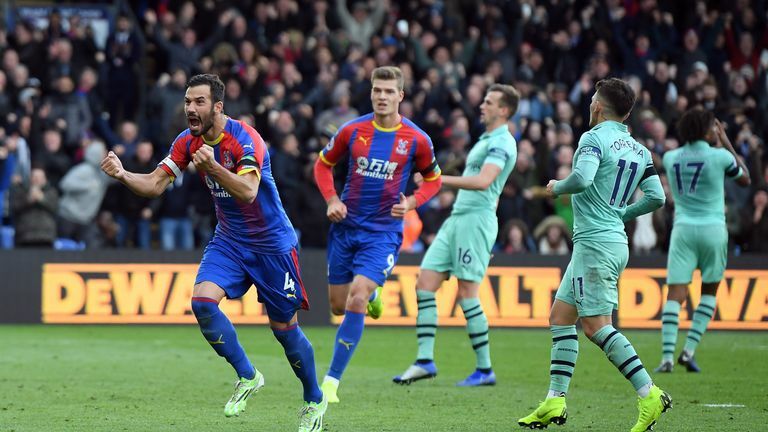 Unai Emery has enjoyed an encouraging start to life as Arsenal boss - but what is the Spaniard like to play for? How would you describe Emery as a person? And, having spoken to people who knew him in the early days of his career, how has he changed? Molina: Emery is loyal, passionate and willing to learn every day. You have players who don't like him for a lot of reasons - but not for being a liar or a bad person. I was very surprised to find so many people wanted to speak about Unai, not necessarily only about his coaching methods but mostly about his personality. I think that tells you a lot about him as a person. He speaks about a lot of different subjects in the book, including the way he deals with the fear. When he was a player, he said he felt scared at times and was someone who didn't deal with the pressure of the game. As a manager, he's quite the opposite; you can't win three Europa League titles and the Spanish play-off with Lorca if you're scared. It's very interesting to see the evolution of the person and how he did it. "My doubts and fears helped me to learn how to manage the pressures of being a manager and my work with the players. I've also relied a great deal on books about self-confidence and personal development." - Emery on his development as a coach, taken from Unai Emery El Maestro. How would you sum up Emery as a coach? Was there a particular anecdote which stood out to you from the book? Molina: Emery is hard-working, passionate and a psychologist. He loves football deeply and maybe for the purest reason - the game. There are so many managers interested in transfers, the money, the fame... Unai is really guided by his love for the beautiful game. There are so many anecdotes but there is one from when he was at Paris Saint-Germain which stands out. When he arrived, he had an individual chat with all the players - which is normal. When he spoke to Cavani by phone, one of the first things they talked about was Uruguay and the love Edinson had for his country and his people. They spoke about football but not that much. Emery had prioritised speaking to Edinson about what was important to him and why he loves football. In the case of Edinson, he's not a guy who will watch games on television but he really loves playing and training. 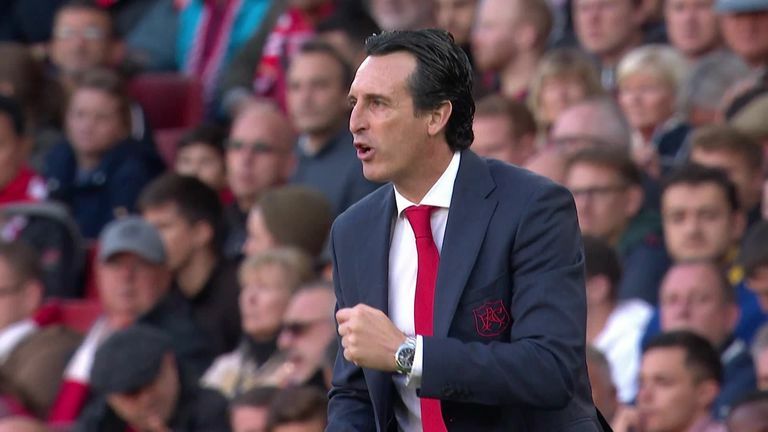 Although Unai is keen on analysis, he realises this is the most important thing for all of the players, so he tailors his approach to his players. First, he understands where his player comes from (he did the same with Felipe Melo at Almeria by speaking with his father). Secondly, understand the relationship the player has with football. Third, talk to Juan Carlos Carcedo, his faithful assistant, to ensure they adapt their approach with each player to get the best from them. What is Emery like with his players on a day-to-day basis and on the training field? Molina: Intense! It's not only Unai but also his coaching staff. As Romain Grunstein, the former PSG kitman, told me, it's a little bit like the A-Team. Each member of the coaching staff has a different personality and role, but during the training they are very intense and passionate. They're always trying to develop new methods of training, new exercises and adapt to their opponents during the two days before the game. How does the Arsenal job compare with Emery's previous challenges as a manager? Molina: I think there are similarities to the job he had at Sevilla, although Arsenal has more money, titles and ambition. In Sevilla, Unai had the opportunity to build a new project even though it was a rather chaotic back-drop. So Arsenal, for Unai, must be refreshing and very different. Here, like in Sevilla, he can concentrate on the job of leading his squad. He does have to deal with a new language and a squad that isn't yet exactly how he wants it, but he's used to that. How does Emery reflect on his PSG spell and the challenges of managing the likes of Neymar? Well, I think he's glad to not to have to talk about that subject much anymore. However, he did learn a lot in Paris, especially about how you deal with big egos. What is his vision for his time at Arsenal? Win titles and let his players, his staff and the fans enjoy the way of playing! Unai Emery El Maestro, out from Thursday, November 1, is the authorised biography of Arsenal head coach Unai Emery.